If you intend to sell your South Jersey home (and any room in it looks like this), Lichtman Associates Real Estate can help! Sandi Lichtman of Lichtman Associates Real Estate is one of my favorite Realtors in Southern New Jersey. I think it’s because she’s equally passionate about taking care of her clients’ residential needs and giving back to the South Jersey community (via her volunteer and donation collection efforts). By All Writes: Why did you decide to start Lichtman Associates Real Estate? When did you found/start it? Sandi Lichtman: I started selling real estate over 30 years ago in Philadelphia. When I moved to New Jersey (27 years ago), my in-laws already had the company up and running. Shortly after I crossed the Delaware (my moving van needs were smaller then), I took over as Broker of Record. I’ve been running Lichtman Associates Real Estate ever since. BAW: What real estate services do you offer your current and potential clients? SL: We offer the same services available from larger/national real estate agencies, but with the personal touch of an independent, “boutique” owner. We work with buyers, sellers, investors, and people who enjoy rehabilitating (rehabbing) homes for profit. Our special niche is working with seniors and estates. 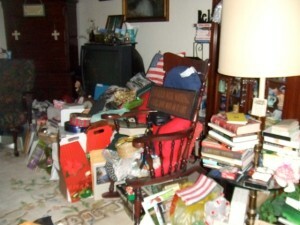 We can be a huge help when a family has a house to clean out prior to selling it. We also know the 55+ communities in the South Jersey region quite well. I love working with first-time buyers as well as teaching people how to build wealth with real estate. We also offer our clients a dual transaction discount (as both seller and buyer), which usually results in a savings of several thousand dollars! BAW: Who makes a good (residential or light commercial real estate) client for you? SL: A great customer is someone who is serious about buying or selling a home and willing to trust a professional for guidance. People who are selling one property while buying another are also great customers – they save so much money by working with me. SL: My favorite moment is when the buyer and the seller like each other enough to “hug it out” at the end of their closing session. It makes my role during the negotiation process all the more worthwhile! BAW: If you could relocate your real estate business to anywhere in the world, where would you go and why? SL: Here are my criteria: mild climate, not in a tornado or earthquake-prone area of the country, reasonable property taxes (so NJ doesn’t make the cut), reasonable housing prices, geographically breathtaking, near water or mountains, and lots of intellectual stimuli. I haven’t found this professional/residential Shangri-La yet – any suggestions? SL: I get inspired when I read stories about people who have overcome great adversity. I also remember how blessed I am, living the beautiful life that I have. Some of the books I’ve enjoyed in this category include: Life and Death in Shanghai, Infidel, Kabul Beauty School, Stolen Lives, and The Help. I also love reading stories that take place in other cultures so I can learn about other people. My favorites here: A Fine Balance, The Other Boleyn Girl, and Memoirs of a Geisha. Are you ready to partner with a Realtor who is well acquainted with South Jersey’s neighborhoods and can give you the inside view? Do you know a senior homeowner who needs to downsize but can’t face the task without professional help? Then reach out to Sandi Lichtman of Lichtman Associates Real Estate at either 856-795-7890 or sandi@lichtmanassociatesrealestate.com today. You can also find Sandi online via Facebook. Tell her Lori Shapiro of By All Writes sent you!